NewYorkMotorInsurance.com provides New York visitors with an online shopping service for car insurance. We offer a price comparison tool, an insurance agent directory, and also articles related to New York auto insurance. By using our comparison tool, New York consumers are no longer forced to call up insurance agencies, search the yellow pages, and read consumer reviews. Basically, we take the heavy lifting out of finding car insurance. 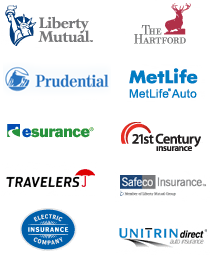 The companies above are just a few of the providers that we work with here at New York Motor Insurance. Simply fill out the quote form and we will search through a list of agents and providers that will save you the money on your car insurance premiums according to your unique profile. NewYorkMotorInsurance.com is located in New York, NY.